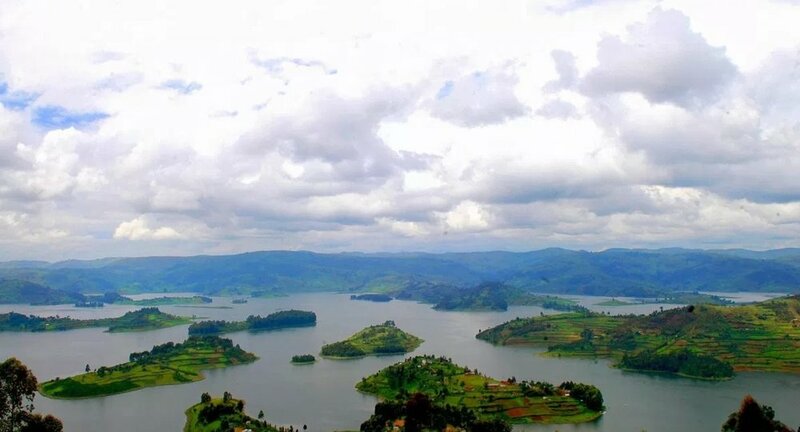 Lake Bunyonyi is located in the south western Uganda between Kabale and Kisoro region and it is close the border with Rwanda. The distance from Kampala to Lake Bunyonyi is around 480 km. The lake has an area of about 60 km squared with a maximum depth of 900 meters. The lake was formed about 8,000 years ago when a river was dammed by lava flow from blocked of Ndego river at present day Muko to create a natural blockage, the 60km2 stands at the core of a large wetland incorporating the Ruhama Swamp and other marshes. This is a place of many little birds and one of the safest Lake in Africa with no bilharzia and wild animals like hippos and crocodiles. Literally Bunyonyi means little birds’ more than 200 bird species can be seen when you decide to go on a birding safari in Uganda where you will see some herons, great white egrets, cardinal woodpecker, grey crowned crane, flycatchers, red-chested sunbird and water thick-knee among others.